I talk to a lot of people who think that they’re supposed to stick with the same workout routine. Forever. When people are not flexible with their routine, what usually happens is they end up bored and become inconsistent with exercise or quit all. I’m here to remind you that if you get bored with your workout routine, do something else! It’s important to keep your brain interested as well as your body, and you don’t have to stick to the same routine for years. In fact, I’ve changed up my routine a lot in the last year for a few reasons. A couple years ago, I was stuck in a job that wasn’t a great fit. It lacked opportunity for growth or change, and that left me frustrated day-to-day. I went ahead and took the class, and I fell in love with it. Boxing is great because you get a high intensity workout and punching provides stress release, so I had a way to vent all my frustration from work. I kept going back and stuck with it for over a year. As it turned out, I did meet a lot of very cool people! The boxing class supported me as I transitioned out of the job I felt trapped in, and it helped me feel more confident in myself. It’s necessary to change up your exercise routine, especially if you become injured. 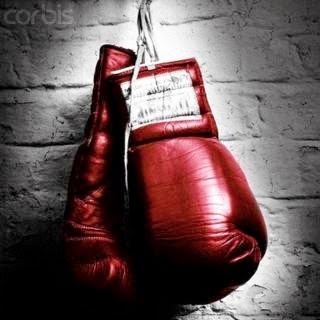 Although I love boxing, I no longer feel the drive to punch as often. I was also forced to try something new because I was dealing with a neck and back injury due to a car accident. Because Pilates was part of my physical therapy, I’m now more focused on strengthening my small stabilizer muscles and core. Pilates has made a world of difference in my athletic performance and overall strength. I’m a huge fan and highly recommend it. Sure, I go back to the boxing class every now and then, and I always enjoy it. But I don’t feel the same motivation as I did a year ago. In fact, I feel just as satisfied with Pilates these days as I did with boxing a year ago because it’s the right fit for what I need now. Take a look at your work out routine. Are you bored? Do you find yourself resisting a class you used to love? It might be time for a change. And you know what? Change is good, and may be an even better fit for what you need now.